The time has come. 2008 has begun. And already you are getting offers for your summer holidays! 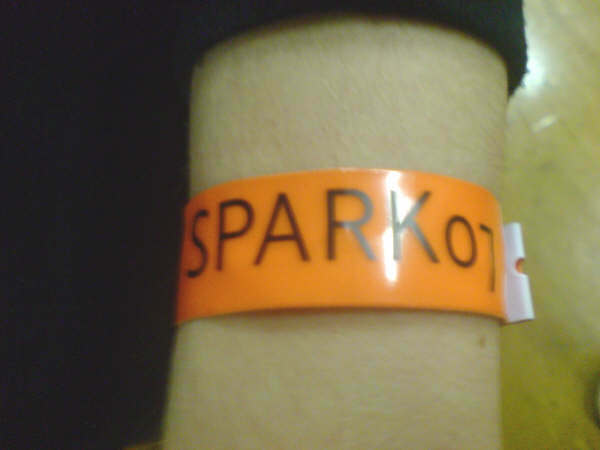 Here’s the very important information you need to know about Spark 08! Application forms: these will be posted to all of those involved in Spark07, with an additional form for you to pass on to a friend. Forms will be available within the next 2-3 weeks and will be given to churches. If you require an application form and are unable to get one from your church, please don’t hestiate to contact us on info@spark07.com. We will post when the forms become available so you don’t miss out! Your role: start spreading the word and the dates to people you think would be really great as part of Spark08 and begin praying for Ballymena and the people who live there! Our month prayer meetings began last Saturday morning, and will continue monthly until Spark begins. Please try and get along to these and drag your mates there too! Prayer is vital. If you require any additional information about Spark08, please contact us at info@spark07.com. And the website will be updated over the coming weeks to provide more information about Spark08, and this blog will keep you up to date with all you need to know! So can we be that generation? 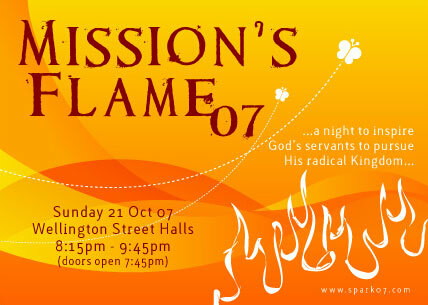 A generation passionate about living for God’s name and glory? A generation excited about being like Jesus? A generation of cleanliness and purity?